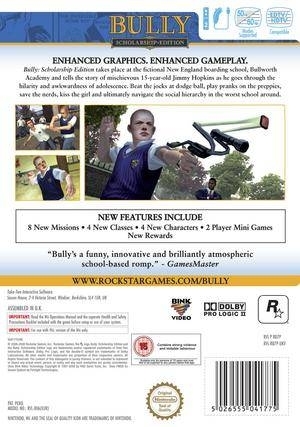 The critically acclaimed and fan favorite PlayStation®2 game, Bully, is making its debut on the WiiTM and Xbox 360® by popular demand with Bully: Scholarship Edition. 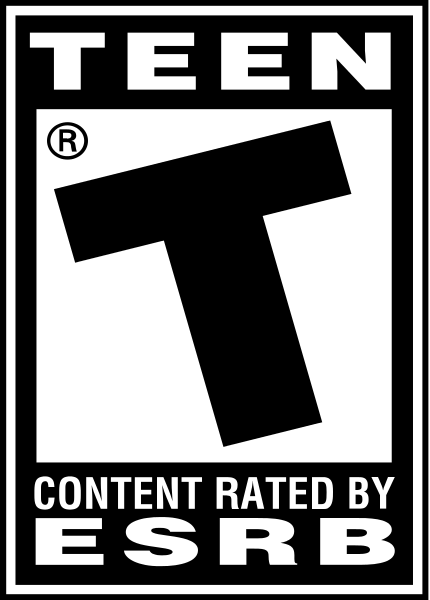 All the mayhem, pranks, nerds, jocks, crushes, clueless professors and despotic administration that made the original release great -- now with added education! hmmm didn't like this game that much. I guess i'm not that big of a fan of GTA either. Price is holding up decently well though. I picked it up cheap and a little underwhelmed but for $7 not bad. 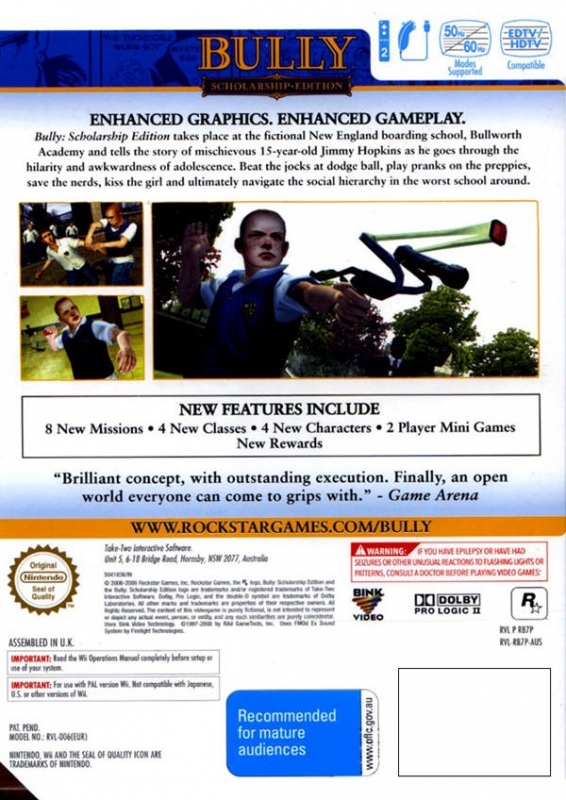 This game was very inexspensive to make. This could possibly have made a profit. 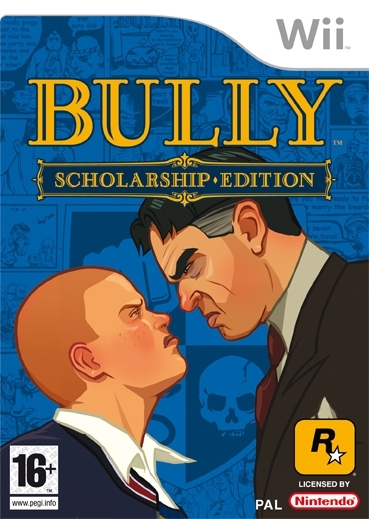 I know a new Bully game would be so cool. Wow, I can't believe this thing limped along to 400k. I guess not all retailers were hiding the game in the back due to its "scary content." 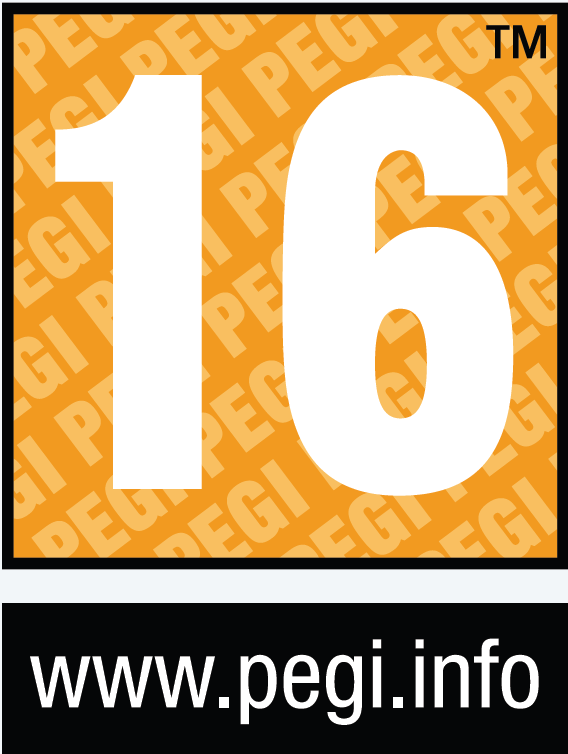 Easily one of the best games on Wii for those who never played it on PS2. The depth, comedy, and fun of this game really surprised me. 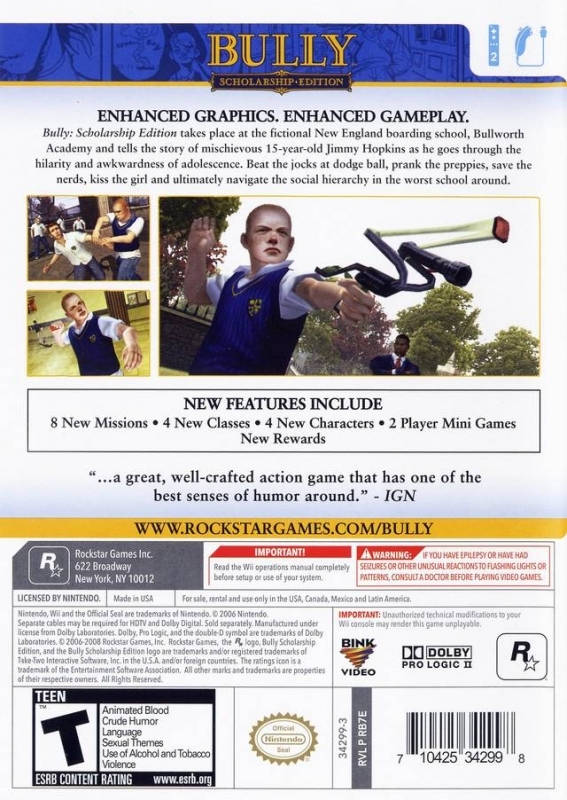 It shouldn't have though knowing Rockstar, although GTAIV did let me down.